Were you one of the 20,000 home owners who waited in line (in sub-zero Waukegan) to pay your property taxes early -- so to avoid the penalty imposed by the new GOP Tax Bill? If you were, you probably didn't see Peter Roskam standing ahead of you. And he wrote the Bill! 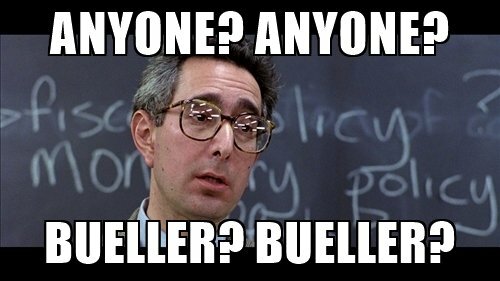 When asked if there are any other events that Peter Roskam would not be attending, a spokesman said: "The Congressman will not be attending any scheduled townhalls. Was that supposed to be a trick question?" If this was the Lake County Treasurer Telethon, the band would be playing What the World Needs Now Is Love Sweet Love about now. Record Number Prepay Property Taxes In Lake Co. The Lake County Treasurer's Office is now finalizing all prepayments of 2017 real estate taxes and will be mailing receipts soon. Going from an initial estimate of $73 million up to $250 million is quite a hike, even by County Government standards. Donald Trump can’t stop claiming there hasn’t been any collusion with Russia. On Thursday, during an impromptu interview with The New York Times at Trump’s golf club in West Palm Beach, the president set social media on fire after he insisted 16 different times that there had been “no collusion” discovered between his administration and Russia. Note to Ops: When planning that next event, you are going to need an accurate advance estimate of how many people will attend. Then book a room with a max capacity of no more than 1/2 that number. You never want your candidate photographed in a half-empty room. Note to Ops, Part II: If that fails, publish your actual turnout size in binary numbers. 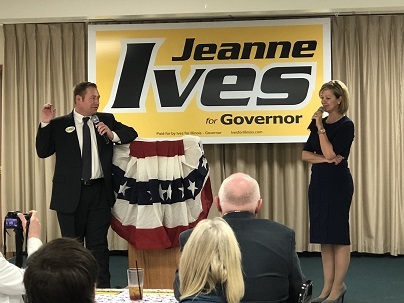 Republican Governor Candidate Jeanne Ives spoke to approximately 200 residents at the McHenry VFW. By latest estimates, Lake County has taken some $75,000,000 in early property tax prepayments. 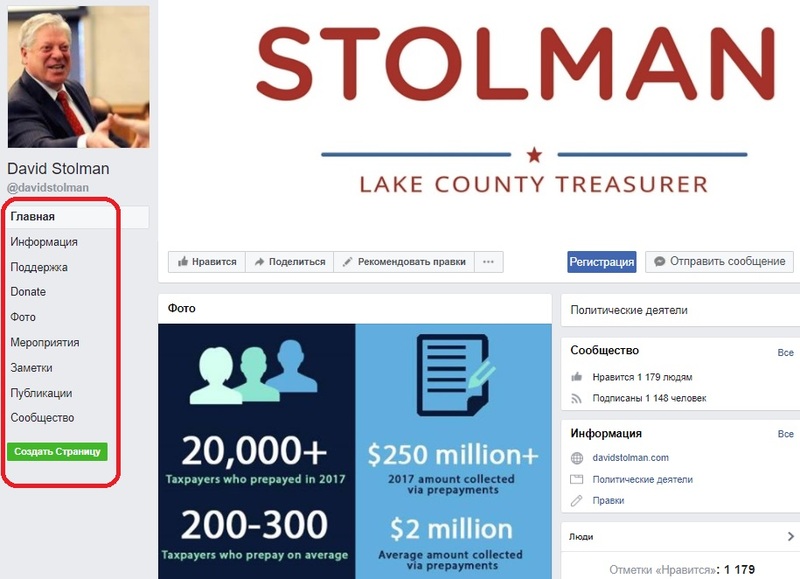 So is it too much to hope David Stolman would quickly recover $5,000,000 in spare change from the seat cushions in the Lake County Treasurer's office? Calling concerns over a $4.9 million electronic filing system that was never finished politically motivated, Lake County Board Chairman Aaron Lawlor limited discussion Friday morning about a News-Sun article that reported on the failure of the system to be implemented. Of course, $5,000,000 is a lot of money to spend on software. Even for software that works, and not just vaporware. One spokesman however took your LakeCountyEye to task: "Is building an electronic filing system for a County the size of Lake County any less difficult than, say, rebuilding an electrical grid in Puerto Rico?" President Trump on Sunday called people who are criticizing his administration's response to the damage caused by Hurricane Maria "politically motivated ingrates." "We have done a great job with the almost impossible situation in Puerto Rico." Note to Ops: Get out your brooms, this may turn into a witch hunt. The Fremont Township Republican Organization has moved to endorse state Rep. Jeanne Ives (R-Wheaton) in her bid to become governor. 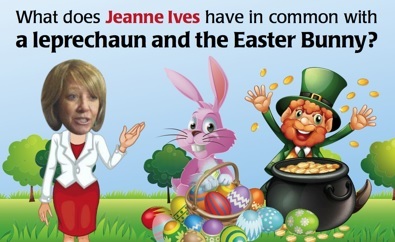 Q: What does Jeanne Ives have in common with the Leprechaun and the Easter Bunny? If you said that any of these 3 are equally likely to beat Bruce Rauner in the Primary, give yourself a wrong wrong wrong. The correct answer is Jeanne Ives, the Leprechaun and the Easter Bunny are all fabulous. 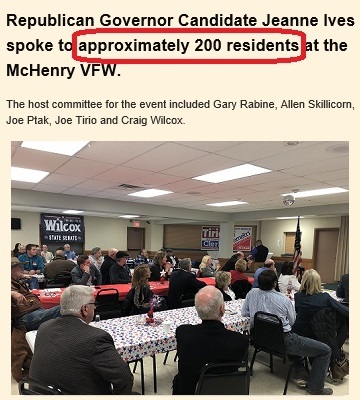 "A Celebration of Women Republican Leaders"
For those who never heard of the Fremont Township Republican Organization, you're on your own. On the Internet, can you say shithole? The European Union is at crossroads. Will the EU survive the political, economic and social challenges posed by changing socio-political and economic landscape? Join writer/reporter Derek Monroe for an overview of this thought-provoking topic. Derek Monroe is a Lake County-based journalist that covered international politics and US Foreign Policy for variety of international and US media and his articles have been published in over 20 countries. He is also a recipient of 2018 Journalism Project Grant Award by Sverige Rikstag (Sweden Parliament) Foundation. 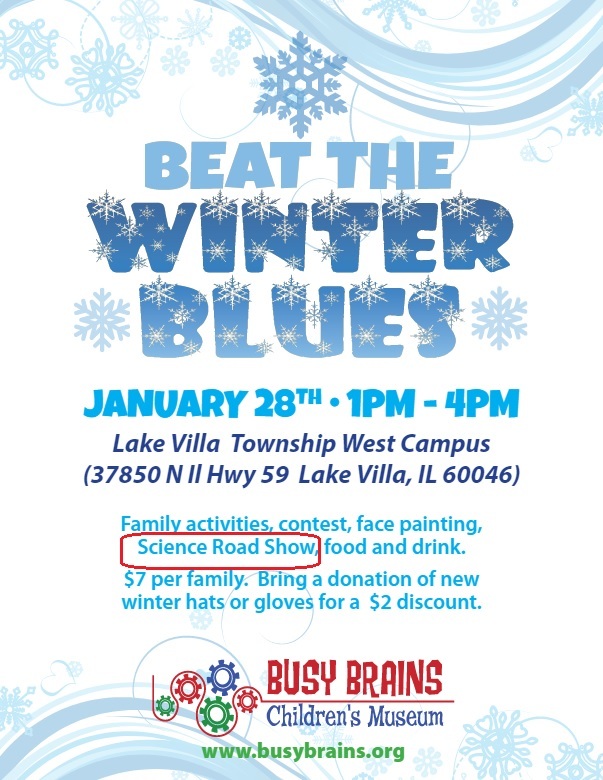 Government statistics indicate that everyone raised in McHenry County is homeschooled. Those souls are taught to believe that the Earth was created in 6 days, that Evolution is bunk, and that babies are delivered by the Stork. 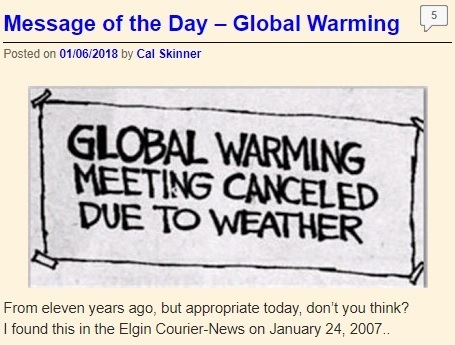 Is it any wonder that an insular population deficient in basic STEM education would find it difficult to grasp principal scientific concepts like climate change? Note to McHenry County Ops: Don't miss this opportunity to see what the 21st Century is like! Now that Lake County has money to burn, is it that perfect time to bet it all on bitcoin? Lake County homeowners have already paid at least $60 million of the property taxes due this year. But that money won't be distributed to the local taxing bodies for roughly five months. In the past, Lake County Treasurer David Stolman kept the interest accrued on prepaid taxes for the county. But the interest typically has been a few hundred dollars. This year, with the rush to take advantage of property tax deductions before new federal limits go into effect, the interest could add up to hundreds of thousands of dollars. Following the passage of the new GOP Tax Bill, a crush of taxpayers swamped the Lake County Treasurer's Office to pay their property tax bills before the start of 2018. And in the middle of what has to be the big financial story of the year, where is Lake County Treasurer David Stolman (Republican)? As far as your LakeCountyEye can tell, nowhere to be seen. Along with the story above, two other print stories covered tax-cataclysm-2017 this week. Did David Stolman talk to any of these newspapers? Nope. In each instance a reporter had to make do with getting answers from some Treasurer's Office functionary. 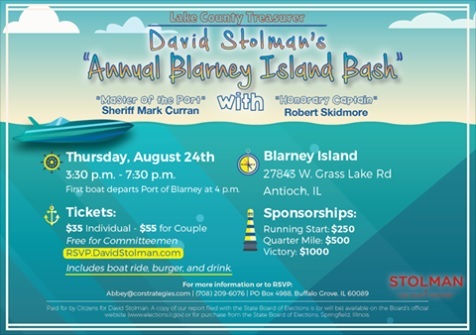 Stolman, who is up for re-election in November, has been on the Lake County ballot in some capacity or other for 25 years. 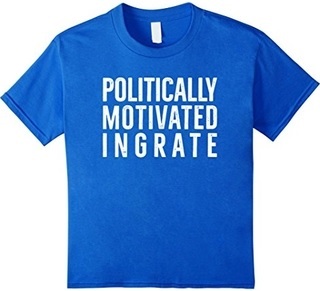 Now your LakeCountyEye has seen how elected officials sometimes can grow complacent. They come to believe they are entitled to their elected office, take their voters for granted, and just phone it in. But, Note to Ops: Your LakeCountyEye is duly impressed. David Stolman is not even phoning it in. Will the Lake County Treasurer please report to the County Building in Waukegan? There is $73,000,000 waiting to be counted. 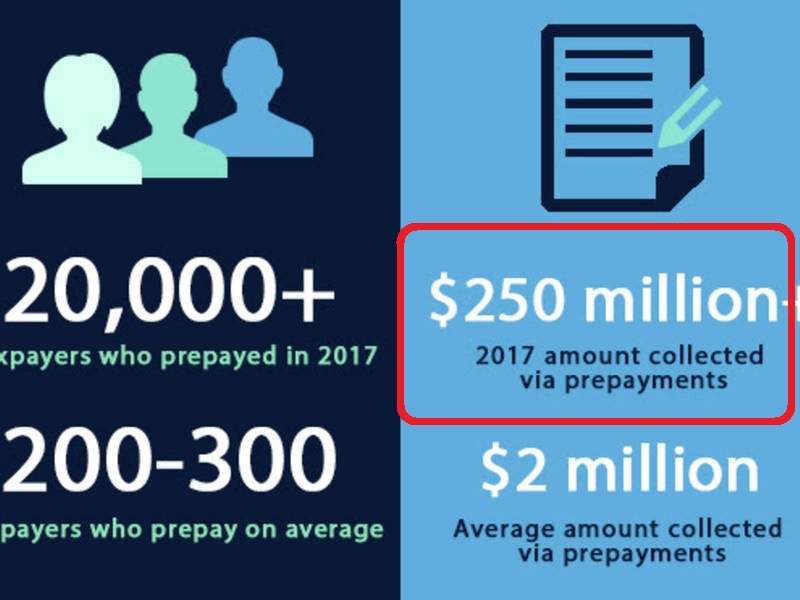 The Lake County Treasurer's Office has tallied about $73 million in property tax prepayments so far, up from $4.2 million that was prepaid last year, and the counting continues, an official said. The unprecedented interest was the result of property owners rushing to prepay their property taxes before the end of the year so they could take advantage of a federal tax deduction set to be rolled back. 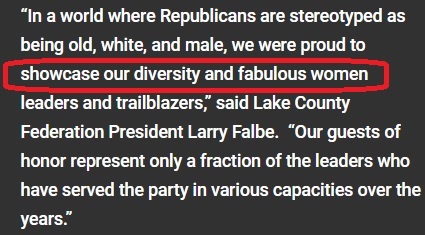 Conspicuously absent from this news story is Lake County Treasurer David Stolman (Republican). It wasn't Stolman, instead it was a factotum from the Treasurer's office who answered the Tribune's questions. One fixture at the Lake County Building said: "Nobody's heard boo from Stolman, not since before taxpayers began stampeding the Treasurer's Office the day after Christmas." If David Stolman is the ghost of Christmas past, then some Bob Cratchit had to spend his holiday at the Treasurer's Office, keeping an eye on that $73,000,000. To put that in perspective, $73,000,000 would pay for about 7,300 tropical vacation trips to Cancun, Mexico. Where the weather is sunny and warm. And nothing like the weather in Waukegan.